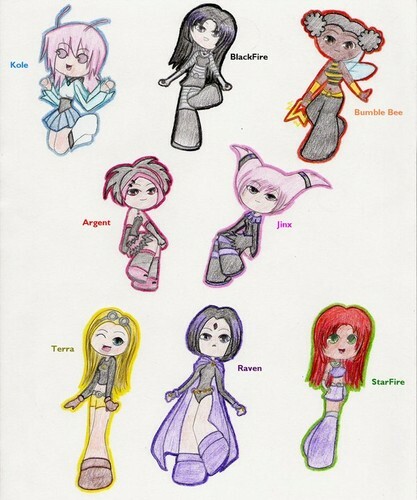 Teen_Titan_Girls. . Wallpaper and background images in the Teen Titans vs. Young Justice club tagged: teen titans. This Teen Titans vs. Young Justice fan art might contain anime, truyện tranh, phim hoạt hình, and manga.